Here at Caversham Vehicle Hire, we like to keep our customers up-to-date with the latest industry news, and this month, we’d like to share with you the new smoking law which was introduced on 1st October 2015. Quite simply, the new law states that in England and Wales it is illegal to smoke in a vehicle if you are carrying passengers under the age of 18. With government health agencies estimating that around one-third of the area’s children are exposed to smoke in vehicles, and about 200 children visit their local GP every week due to the effects of secondhand smoking in cars, the government realised that something needed to change. Therefore, the new law has been introduced in an attempt to protect children and young people from the the risk of breathing in secondhand smoke when travelling in cars. Children breathe faster than adults and their immune system is still developing which makes them far more vulnerable to secondhand smoke than adults. Secondhand smoke is smoke that has been breathed out by a smoker, and breathed in by a non-smoker. 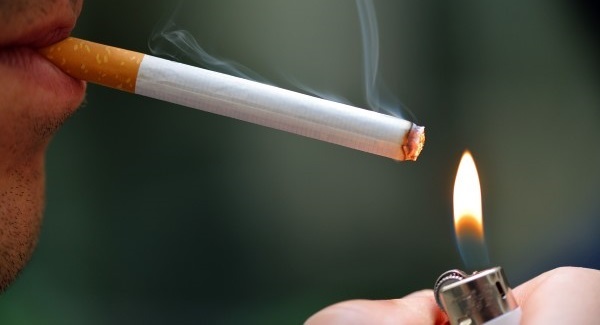 In short, it is smoking in close proximity to non-smokers, and as a result, the non-smokers are exposed to tobacco’s toxic and harmful properties. Secondhand smoke can be the source of any form of burning tobacco i.e from cigarettes, cigars and pipes. Tobacco smoke contains over 7,000 chemicals, of which hundreds are toxic to the human body. Therefore, being exposed to this toxic smoke puts children at risk of serious illnesses, such as cancer, pneumonia, meningitis and more. Who does this new law apply to? If you are caught smoking in your car whilst carrying passengers under 18, then you can be fined, regardless of whether you are the driver or a passenger yourself. Both the smoker and the driver, however, (if they are not the same person) can be fined the fixed penalty of £50. Now you’re aware of the new law that is in place, take extra care to make sure that you adhere to the rules and do not breach them, otherwise you will face the penalties. Click here to read more on the details of this new smoking law. If you’re in need of either short- or long-term vehicle hire, then please get in touch with Caversham Vehicle Hire today. Our friendly team will be happy to help advise on vehicle types that are affordable and suit your needs.